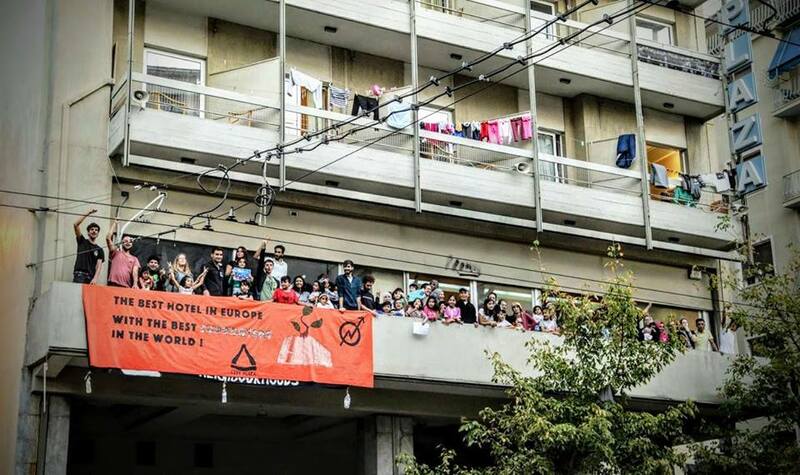 Welcome to the final full weekend of our NovemberFest (FB event), which includes a typically anarchic mix of work & play, and rounds off on Monday with a serious look at the impact of alcohol on both anarchist activity and on wider society. The main weekend event sees Kebele hosting the 6-monthly UK Social Centres Network Gathering – see here and here for more info. We anticipate activists from at least 6 other UK social centres joining us for some in-depth discussions across Saturday & Sunday. Please note the building will be closed to anyone not attending the Gathering between the hours of 8am-6.30pm on Saturday 28th, and 8am-5pm on Sunday 29th. From 6.30pm on Saturday 28th we’ll be putting the Social into the social centre with a party for Gathering attendees, along with loadsa local activists & friends. 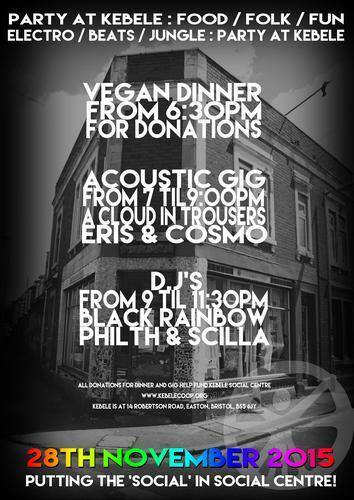 Come down for some acoustic folk acts followed by some notorious (and mysterious) local DJ’s. Entry is by a suggested donation of £3 and early arrivals will be able to eat up any dinner leftover from the Gathering’s evening meal. Sunday 29th from 6.30pm sees our weekly Sunday Social vegan meal, cooked up & served by some of our mighty local volunteers. 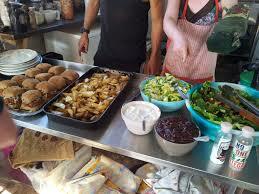 The Cafe has been very busy in recent weeks so don’t come too late or the food will be gone. You even get to do your own washing up…and you can put yerself down to cook in future weeks! The suggested donation for the meal is £2.50 for main course or £3.50 for the lot, but nobody is turned away if they are skint – please say if this is your situation – perhaps you could contribute in another way, such as helping wash & tidy up in the kitchen & cafe? On Monday 30th November from 7-10pm it’s another Mellow Monday – a chilled out session in the cafe. Read books, play board games, drink tea/eat cake and chat, or use the library and browse the Infoshop for some subversive seasonal goodies! 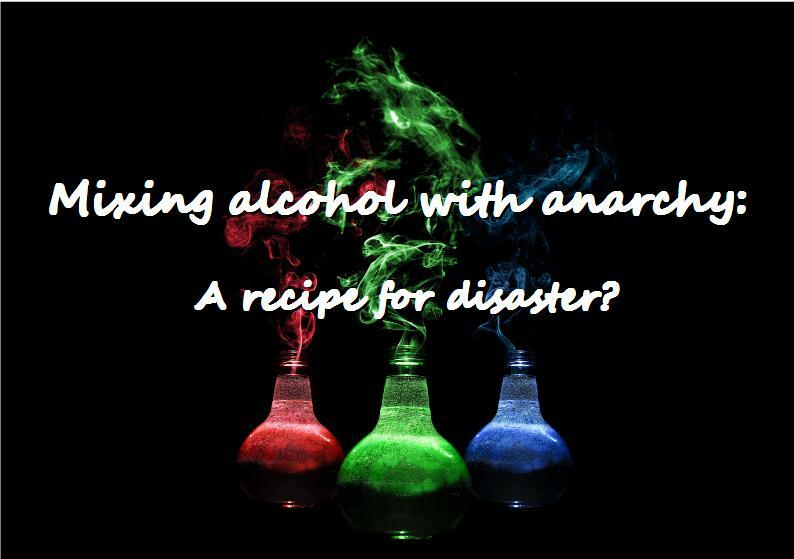 At 7.30pm in the Events room some dedicated comrades will ask us: ‘Mixing anarchy with alcohol – a recipe for disaster?’ as they lead a first-time exploratory discussion workshop. Some of the questions to be posed are: Can a space be safe with alcohol? Can we be ready to react when we’re intoxicated? How has alcohol damaged our communities and others? 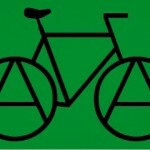 Does alcohol fit into anarchist thinking? Can we really have fun without booze? This facilitated discussion will be an opportunity to talk, listen and think in a relaxed and non-judgmental space about a commonly consumed but potentially disruptive product. All are welcome, whatever your drinking or non-drinking status. But please respect the seriousness of the topic and do not bring alcohol to the meeting. 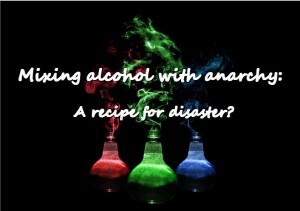 For a challenging and thought-provoking read to warm-up for the meeting try this – ‘Anarchy & Alcohol‘ – an 18 page pdf from Crimethinc. More pre-reading on the FB event page. – Bristol ABC’s Winter Warmer fundraising meal/social on 5th December from 6.30pm. – Kebele’s 20th birthday bash on Friday 18th December at an Easton venue. We hope to be seeing you!